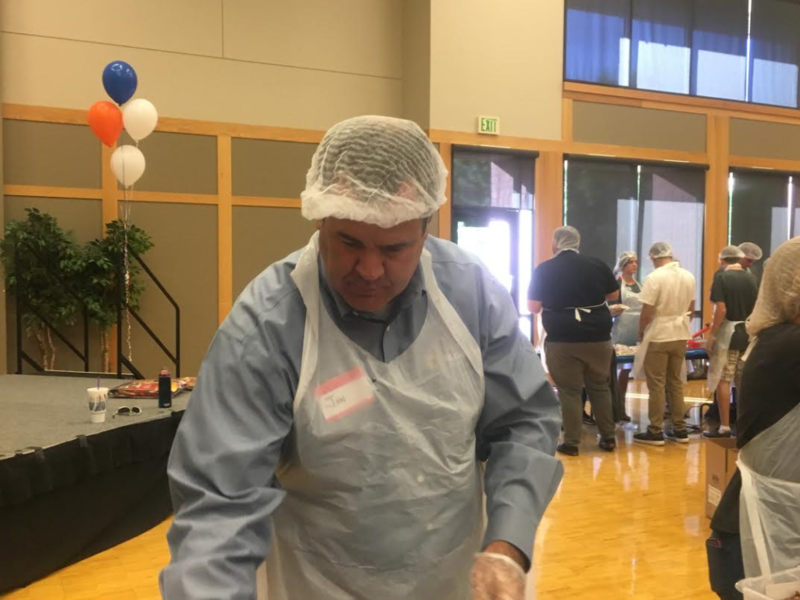 ST. GEORGE – Hundreds of volunteers packed the Dixie State University Gardner Center Ballroom Tuesday afternoon to package meals for Switchpoint Community Resource Center’s food pantry and the Utah Food Bank. Part of United Way Dixie’s “Day of Caring,” the food packaging event brought together university students, area businesses, city of St. George leaders and political candidates in an effort to package 100,000 meals, which will provide food for approximately 3,000 low income households per month in the St. George area. 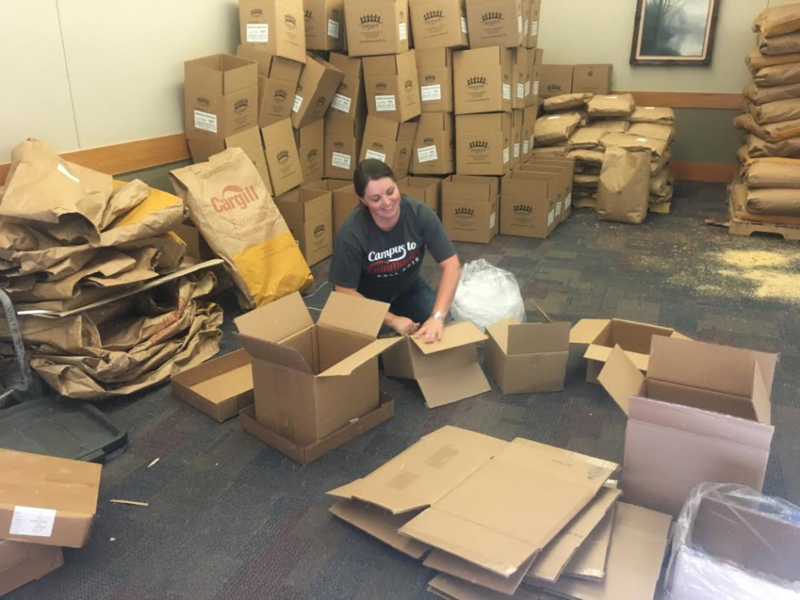 The 100,000 meal goal is double the amount packaged from last year, said United Way Dixie Executive Director Rebekah Pectol. “Day of Caring” is a celebration of volunteerism where people can volunteer to help with a variety of service projects, Pectol said. The food packaging event is the largest of the volunteering events. 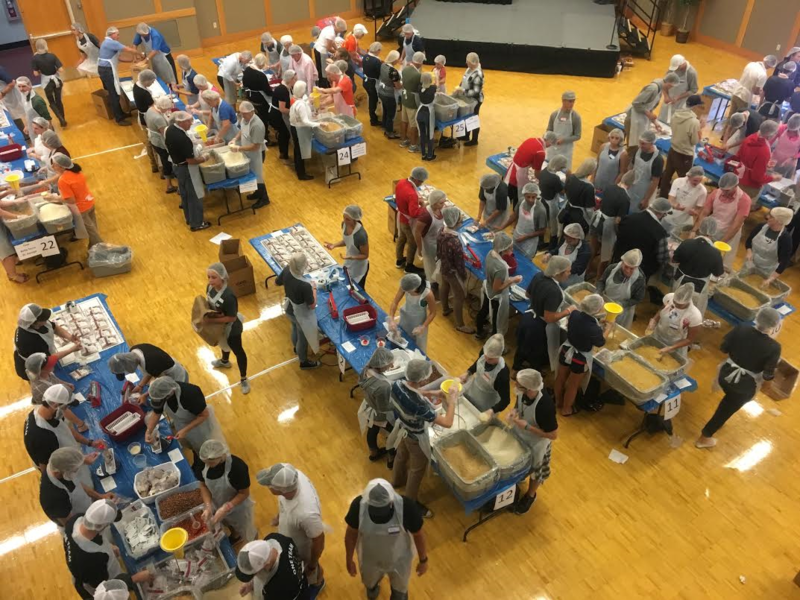 This year about 500 volunteers donned hair nets, aprons and gloves and put together healthy meals for the needy. At first glance the food packaging event seemed to be a giant party. Music blared throughout the ballroom, balloons adorned a stage with trophies and volunteers smiled and laughed while measuring, pouring and packing the meals. “The community loves this event because it’s fun, it’s upbeat and they know that they’re actually making something that’s going to be used in this year,” Switchpoint Executive Director Carol Hollowell said. 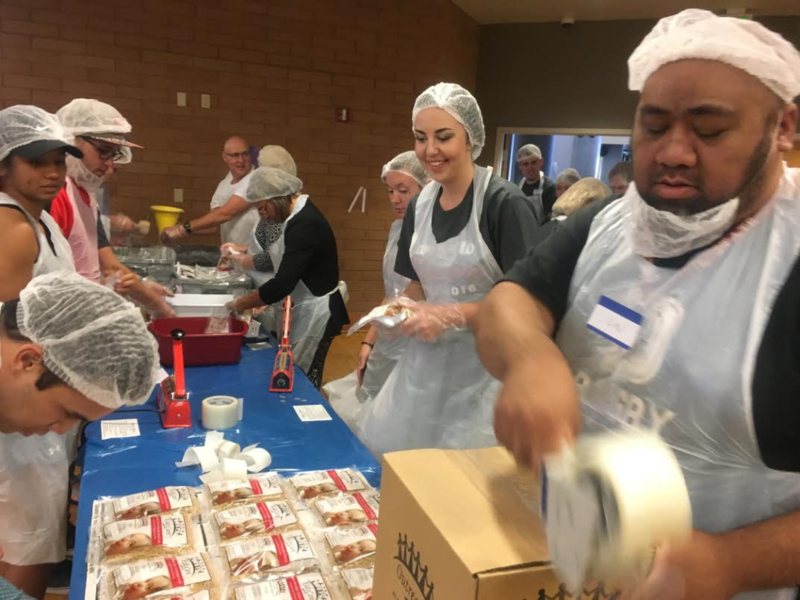 The packaged meals will help Switchpoint’s emergency pantry and the Utah Food Bank Southern Distribution Center, which will distribute to 13 pantries in southwest Utah, Hollowell said. Because of the large number of people Switchpoint serves, Hollowell estimated that the supply of 100,000 packaged meals would last about nine months. 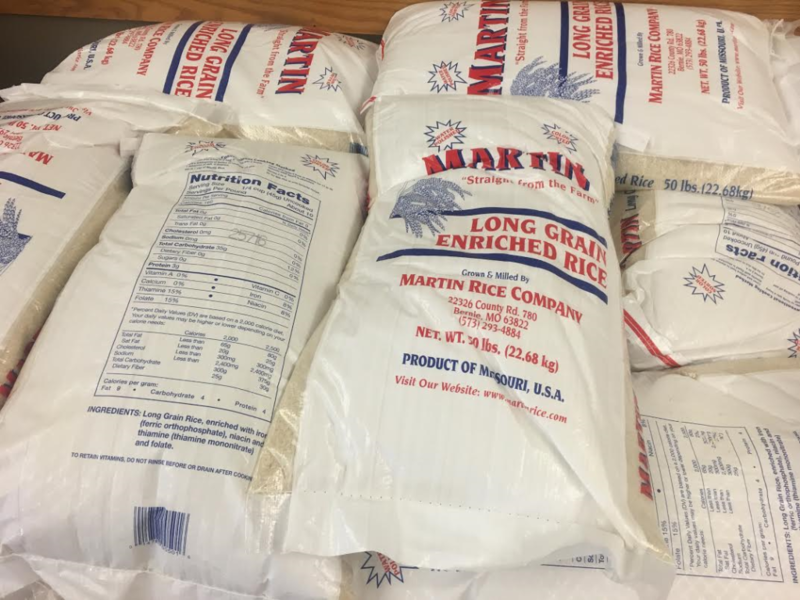 Each meal bag contains enough food to feed six people, Hollowell said. And the food is nutritious, she said, not just a carbohydrate filler. 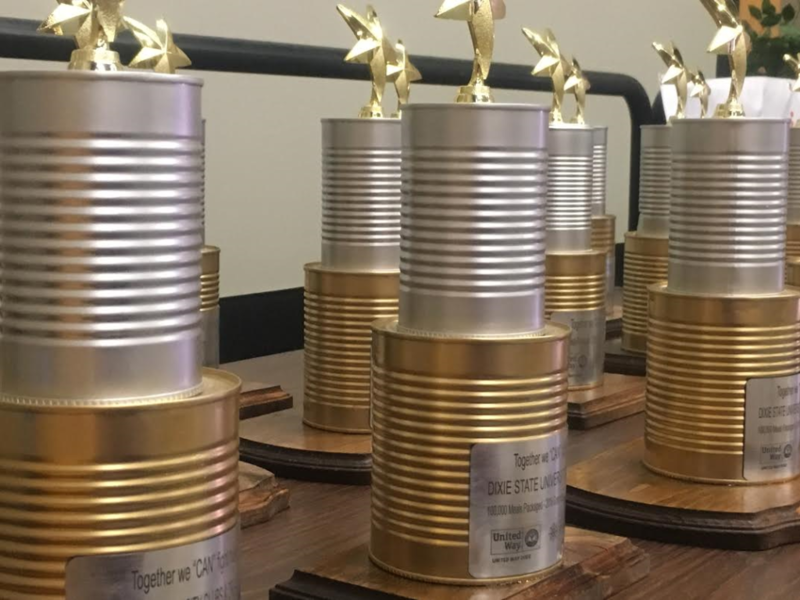 United Way Dixie and Switchpoint partner for several events throughout the year, a partnership that Pectol said is very valuable. “We’re feeding families in need in Washington County so teaming up with Switchpoint is valuable,” Pectol said. Hollowell echoed Pectol’s sentiments about the partnership between United Way Dixie and Switchpoint Community Resource Center. 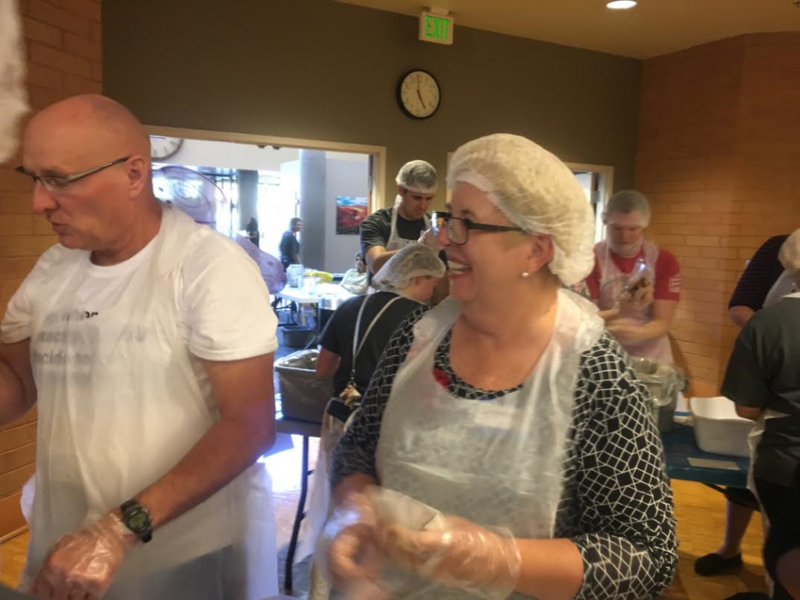 Approximately 50 percent of the volunteers were students, staff and advisors from Dixie State, Pectol said, and the other 50 percent was comprised of area businesses, service organizations, city leaders, political candidates and community members. St. George Mayor Jon Pike volunteered on a team representing the city of St. George and expressed his feelings about the importance of the event. Wow Dumpster, where do you get your material? The pills are strong this month. How about you log in as one of your other names, like r2d2 or one of the others, answer your own questions, and tell yourself how right you are. And then when you come down, maybe you can look through the classifieds and actually get a job. This was the free market at work, where a group of people who volunteered their time to package donated food into packages for people that would like to eat but cannot afford to. If it was socialism, the workers would have been forced to do the work for minimal pay, and would only be packaging food that the government mandated and provided, and in the portions they decided on. It would then be given back to the government for redistribution to the masses as it saw fit. If it was communism, the workers would have raided YOUR pantry, forcibly taken YOUR food, packaged it into separate meals, then given you back a FRACTION of what they took from you, and then expected you to be grateful for that small amount. You would have no say in what they took or what they gave you, and if you complained, you would be jailed. I hope this brief tutorial helped you. Ha ha made you comment. LOL ! Hiya ladybug woooohoooooo how ya doin after the earthquake ? did it rock your world ? LOL !